At the highest levels of research, it can be easy to become nearsighted, focusing only on your own narrow specialty. Thankfully, that’s not the case with Timothy Lodge. Lodge is a Regents Professor in the Department of Chemistry and Department of Chemical Engineering and Materials Science at the University of Minnesota. He’s the Editor-in-Chief of Macromolecules (a position he’s held since 2001) and the founding Editor-in-Chief of ACS Macro Letters. 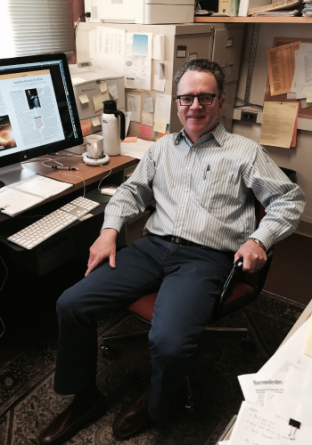 Lodge prides himself on the collaborative, interdisciplinary nature of his lab. While most polymer chemistry labs focus on either synthesis or properties, Lodge and his colleagues tackle both. They combine synthesis of model polymers, especially block copolymers, with advanced physical characterization tools. The lab’s scope attracts students and collaborators from far and wide. Students come from Ph.D. programs in chemistry, chemical engineering, and materials science; many are co-advised by professors with other areas of expertise. 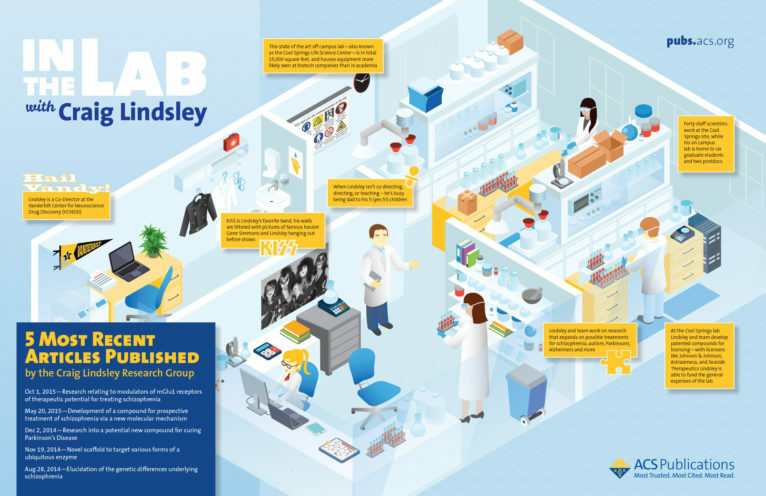 Because the lab’s work is at the intersection of fundamental science and technological applications, research is funded both by government agencies such as NSF and companies. Other accomplishments include the development of “ion gels,” soft solids with many of the properties of the constituent ionic liquid. Researchers have used these gels as the so-called gate dielectric in organic transistors and shown that they outperform all other candidate materials. They’ve also made luminescent gels for display applications, and thermoreversible and photoreversible gels that can be processed in the liquid state and solidified on demand. Timothy Lodge’s interests outside work are similarly broad. You’re as likely to find him hiking outdoors as taking in a classical music performance. He’s an avid football fan—though not the kind you might think. Lodge was born in England, and follows Premier League teams Manchester City and Manchester United. He’s well respected by his students. Cecilia Hall is a third-year graduate student in Lodge’s lab, studying block polymers in ionic liquid. Learn more about Timothy Lodge’s work in Macromolecules and ACS Macro Letters.